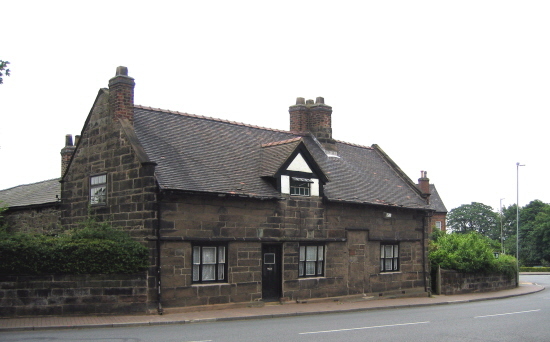 Sandstone with brick gable and machine tile roof. Original door blocked off. Still retains some of its farm outbuildings, although no longer a working farm.